Bananas are not only great for humans as an easily assimilable source of energy, but is almost a medicinal plant by itself with a proven capacity to combat all kinds of diseases. It’s only a question of diversifying its culinary approach! 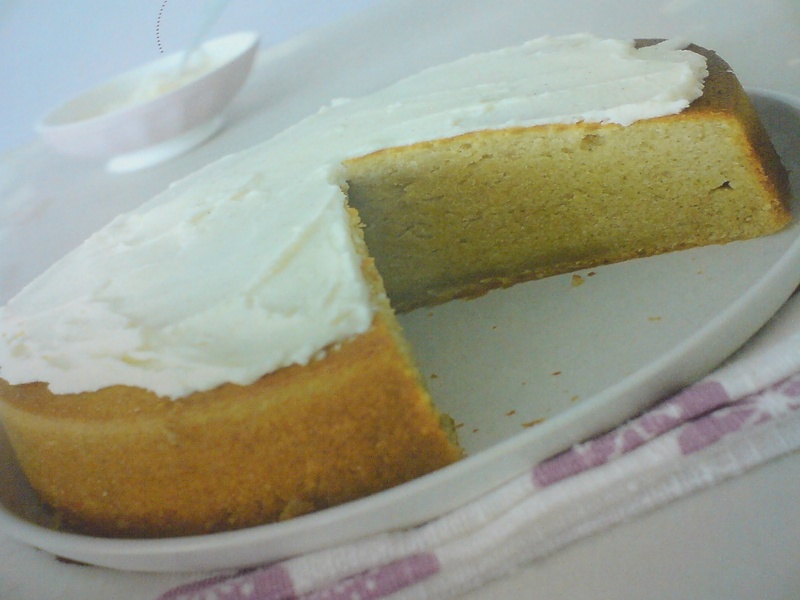 Why don’t you try this simple banana soft cake recipe? -Melt butter and let cool to lukewarm. -Pre-heat oven to 180 degrees Celsius. -Peel bananas and and process them into a very liquid homogeneous puree. -In a large bowl pour the banana puree. With a hand whisker add and mix one by one in the following order: Yoghurt, eggs (without the shells!LOL), sugar, cinnamon, vanilla essence and salt. -Add the flour and yeast in small quantities at a time through a sieve to improve the best absorption/mixing. when all flour and yeast have been mixed in, add melted butter and mix. -Butter the insides of the mold (about 20 cm diameter). Pour in the whole cake mixture. Bake for 45 minutes or until a knife stabbed into the cake comes out smooth and clean. -Eat cold as it is or with a cream nappage made with cream cheese, mascarpone, sugar, vanilla essence and lemon juice (Do it after the cake has completely cooled down, or even better slightly chilled). -Follow the order for better quality! -You may add crushed walnuts or chocolate bits in the cake. I wonder if there is a country where one cannot find some kind of shake! But, they use ice-cream and dairy products to make them! Well, there is a simple way to make them vegan! Vegan & Avocado & Banana Shake! -Leave banana and avacado in refrigeartor long enough to get them really chilled. -Cut avocado and banana in small enough pieces. -Put everything into blender and mix well. 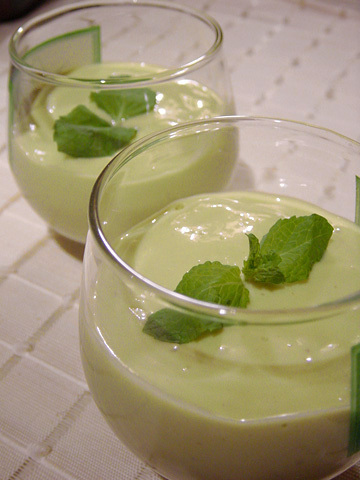 -Pour in glasses and serve topped with mint leaves. Still delving into my notes for more French desserts! Croustillant Banane Mangue/Banana & Mango Pie! -In a small pan, drop all the ingredients for the syrup (Do not include the guava!) and cook on a medium fire for 10 minutes. Let cool completely and leave in a cool place. -Peel the banana and mango and cut them in big pieces first. -Put the banana and mango pieces into the syrup and let marinate for 30 minutes. -Take the fruit pieces out of the syrup with a holed ladle to drain as much of the syrup as possible. Put the fruit on a piece of kitchen paper. -Cut the fruit into small pieces. -On a kitchen board, place a filo sheet and fold it once (double). Put a large tablespoon of the cut fruit in the middle of the filo sheet. -Melt the butter i a small pan. -Fold the right third of the filo sheet onto the fruit, and fold the left third of the filo sheet on top. Delicately turn or twist each end so as to form a “papillote” (sweet wrapper) as in picture above. Brush melted butter over the whole papillote. -Bake at 180 degrees Celsius for 10~15 minutes. -Serve hot with the syrup in a small pot to you have added guava pulp. if you want to taste a wine with it, a port or banyuls or a sweet wine is best!